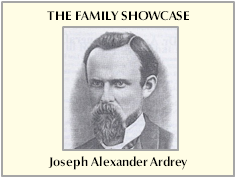 NC Counties / Mecklenburg / Bice Bicentennial History, Sardis Presbyterian Church, 1790 - 1990 Reid, Jennings B.
NC Counties / Mecklenburg / Biog Biographical Sketches of the Early Settlers of the Hopewell Section Alexander, J. B. Family Books / Carr / Carr Carr: folk tales, a family chronicle and remembrance Hershey, John W.
NC Counties / Mecklenburg / Char Charlotte and the American Revolution, Reverend Alexander Craighead, the Mecklenburg Delaration & the Foothills Fight for Independence Plumer, Richard P.
NC Counties / Mecklenburg / Char Charlotte Remembers Reynolds, D. R.
NC Counties / Mecklenburg / Char Charlotte, North Carolina Families, From the Scrapbook of Mrs. Ralston (Deanie) Pound, Family Portraits in the Early 1940s Hoole, George M.
NC Counties / Mecklenburg / Civi Civil War Charlotte, Last Capital of the Confederacy Hardy, Michael C.
NC Counties / Mecklenburg / Hist Historic Charlotte Morrill, Dan, Dr.
NC Counties / Mecklenburg / Hist History of Hopewell Presbyterian Church, For 175 Years from the Assigned Date of its Organization 1762 Sommerville, Charles William, Ph.D., D.D. NC Counties / Mecklenburg / Hist History of Mecklenburg County and the City of Charlotte from 1740-1903 Tompkins, D. A.
NC Counties / Mecklenburg / Hist History of Mecklenburg County Medicine Strong, Charles M., Dr.
NC Counties / Mecklenburg / Hist History of Steele Creek Presbyterian Church, Bicentennial to Semiquincentennial, The Last Fifty Years 1960 - 2010 Neely, Walter H., Jr.
NC Counties / Mecklenburg / Hist History of the Second Presbyterian Church, Charlotte, North Carolina 1873-1947 Lafferty, Robert H.